Web designing is an art of attracting potential and existing customers to select a specific brand. Among millions of websites making one design prominent and impact generating is a tough job and only true artists can do that. Web design is not an art to satisfy aesthetics only but an art to attract customers not only this the design should deliver all the necessary information related to the brand. 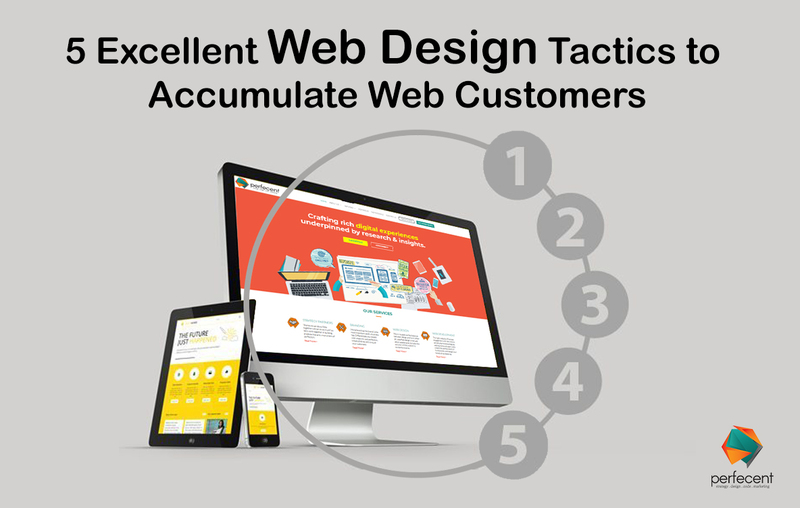 In this blog, you will be reading 5 tactics that you can incorporate into your design style to hoard web customers. What is the brand, what they sell, what is beneficial for a visitor, why anyone should select a brand, what are the unique features of your brand etc. All of these questions should be answered wisely in design. The logo, brand name, and best products should be visible and prominent to an extent that on the very first glimpse people can get maximum of these points. Electronic devices vary in terms of functioning and screen size. The formula one fits all is not suitable all the time. A web design that can be operated over a variety of devices can be made possible by making slight changes in the interface. Keep in mind that 30 percent of people search for the website from there cellphones, 10 percent people use iPads, tablets for or other devices. So, make sure that you design for them as well. Websites that have their own application are preferred 40times more than the ones having no application of its own. For purchasing products people find it more convenient to surf over an application, directly place an order there and work is done. For fashion products, grocery, home décor, beauty products, cab hire people prefer applications over the website. So website gets greater hype if it is backed by an application for customer ease. Design should include Calls-to-Action (CTAs). If you want people to buy your product, you have to say that with your design. The content on your website should direct the audience what to do. Call to actions with a scenario or relevant content are found to be more impactful and convincing. It is a fact that website designs having calls to action generates more business. Why restrict your web design? Update information on the website whenever needed. Keep posting blogs on your website related to your brand. Change pictures and other content time to time. Add stories related your brand and activities that your brand is conducting. If you design is too old up-date it and design according to the current trends of website design. If you are launching a new website then make the design of a type that it has all the elements of current design style and trends. Updated and according to trends designs attract the audience and also make them understand that you are aware of the stuff going on in the market.